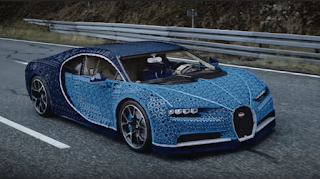 Last week, we were taken for a test drive in a porcelain Bugatti called L’Or Blanc (White Gold) and now we are given a demonstration of another fully-functional Bugatti model—a Chiron supercar—that was almost entirely built from LEGO Technics pieces, over a million assembled by hand. 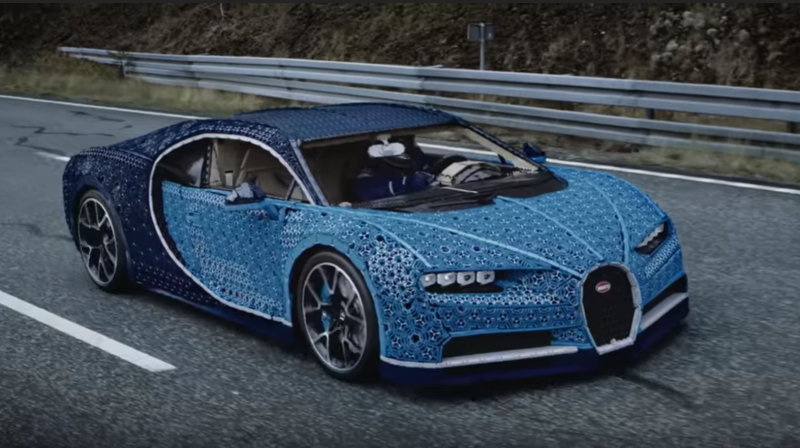 The car is a legacy brand first founded by Ettore Bugatti in the city of Molsheim in 1909 that produced a line of high performance luxury and racing automobiles through the 1950s when the company went bankrupt and the factory acquisitioned for the aviation industry. Bugatti saw a comeback in the 1990s when the name and distinctive chassis style saw a revival, with Volkswagen engineering the Chiron, two-seated sports car, which was revealed for the first time at the Geneva Motor Show in 2016. See footage of both cars in action at the links above.